FlowCAM detects and measures marine plankton and particles in a continuous fluid flow. Scientists, researchers and technicians obtain size, shape, fluorescence and concentration statistics in a fraction of the time required by traditional microscopy. Different particle types in a heterogeneous sample can be automatically identified, differentiated and quantified. FlowCAM acquires high resolution microscopic images at a very rapid rate, typically up to 10,000 images/minute. Intuitive VisualSpreadsheet analysis software allows the user to sort, filter and classify particle images interactively. 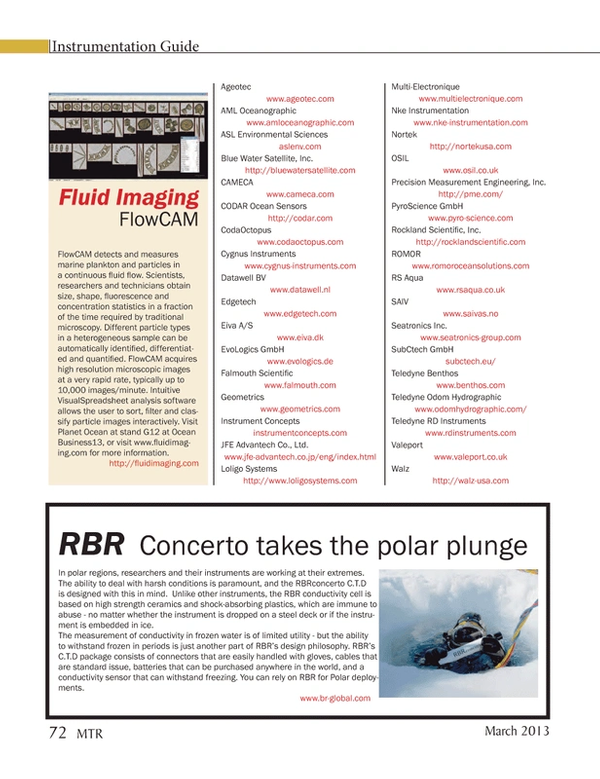 Visit Planet Ocean at stand G12 at Ocean Business13, or visit www.fluidimaging.com for more information.